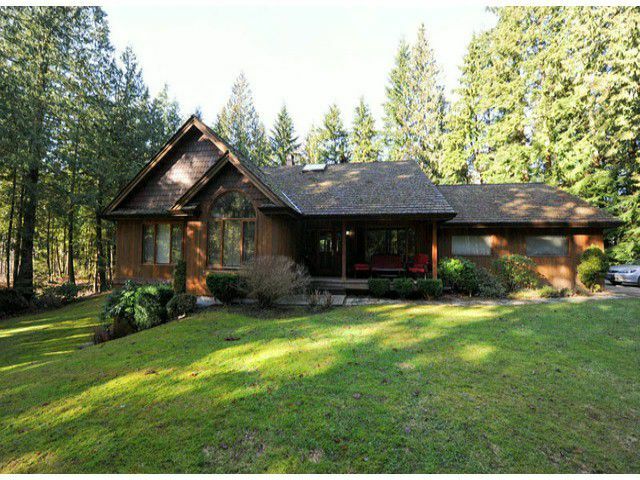 This beautiful remote 5 bedroom 3 bathroom rancher sits on a very private 4.6 acre parcel only minutes from town with quad and dirt bike trails throughout the fully fenced yard complete with a natural pond amongst the tall timbers. The homeboasts an open concept gourmet kitchen with incredible knotty pine floors, you'll love the extravagant master bedroom ensuite joining the vaulted ceiling master bdrm. Oversized windows lets you enjoy natural light while seemingly being in outdoors. Enjoy your morning coffee on the huge deck while watching deer and other country residents in their natural environment. The daylight walkout basement features a sauna 2 bdrms, gym & a rec room. Make this home your family paradise.